Please double tap any place on which you want to write or highlight something. You can easily annotate anything on the magnified screen. Additional double tap causes the screen to return to the original ratio. 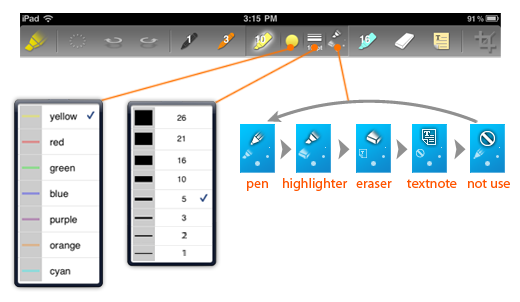 The configurable 6 writing tools are always show on the top panel so that you can easily select any recent pens or highlighters or eraser or text-notes(sticky-notes). You can change the color and thickness of a current pen or highlighter at any time. Do you want to write something without magnification? Just press the "writing tool icon" on the top-left. 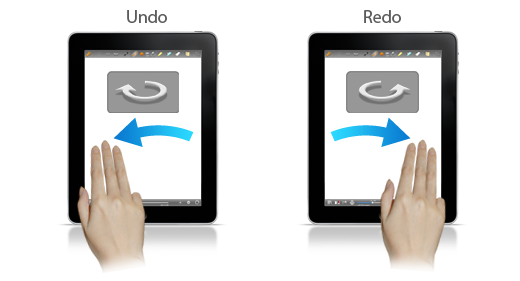 Under writing mode, you can easily turn pages using 2 fingers rubbing. 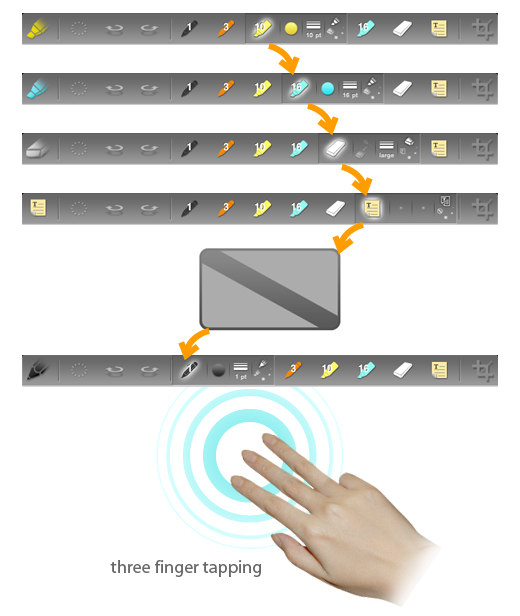 While writing notes, you can easily change current pen type or eraser simply tapping anywhere with 3 fingers. To UNDO, rub to left with 3 fingers. To REDO, rub to right with 3 fingers.